We’re sure you’ll be happy with your new Topline Trampoline, but we understand that assembly can sometimes be a challenge. If you need a help and live in one of the areas listed below, you can call them for help. Please note that these services are not affiliated with Topline Trampoline. 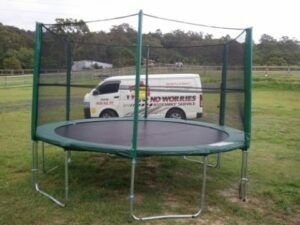 No Worries Assembly Service is located on the Gold Coast and can assemble just about anything for you. They take the worries out of trampoline assembly. Simply give Stu a call today on 0438 065 797 and he’ll take great care of you. Flat Out Assembly Service is based in Melbourne. Give them a call today on 0429 664 446 for help assembling your trampoline!